Can you believe that we are almost at the end of March?? How has the month flown by so fast?? I know my crafty time has been super busy lately. The Daily Marker 30 day challenge has been going strong and I've managed to participate most days. Right now we are also in the middle of the Spring Coffee Lovers blog hop! It's one of my favorite times of the year. Anywho, let's get on to my project. 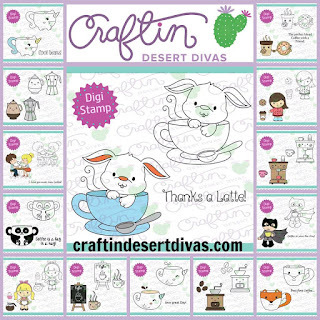 Craftin Desert Diva's has released several coffee themed digital stamps that would be perfect to play along with the Coffee Lovers blog hop. You really don't even need a blog. Just someplace where you have your picture online that you can link up to. 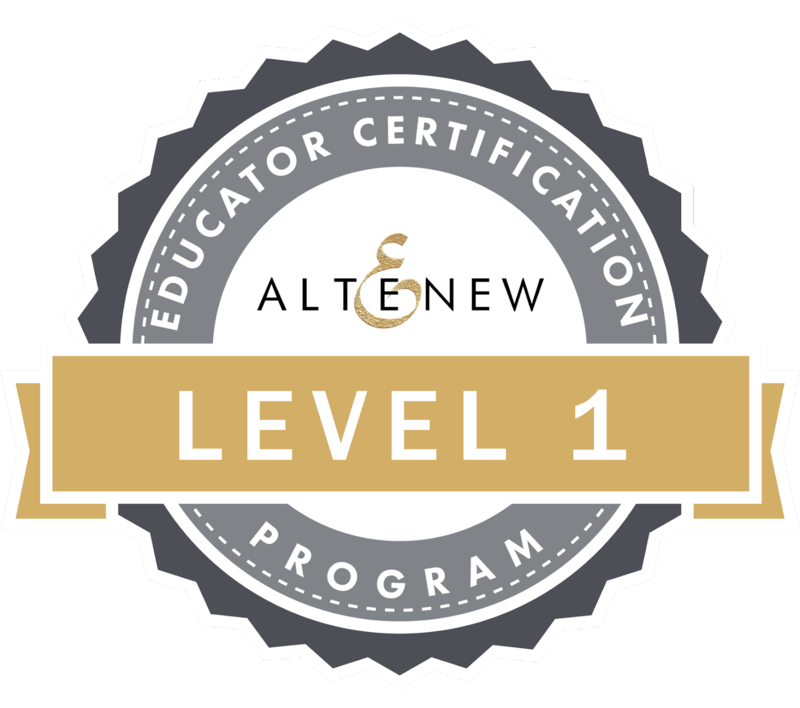 If you click here, it'll take your right to the coffee category in the Craftin Desert Divas store. Oh yeah, I was supposed to share my project with you. I got sidetracked! This image is so super sweet! I mean, a coffee and donut holding hands??? CUTENESS!! I might be biased becuase I wouldn't mind having some donuts with my coffee. Just sayin. I colored the stamp with Copic markers. I also added Wink of Stella to the steam, the gray part of the coffee cup and the spoon. I think I even managed some on the teeny sprinkes! Let me tell you folks, this card is heavy! Including the card base, there are SIX layers of paper. Yes, six. I got a little carried away. Both of the patterned papers are from Doodlebug. The brown cardstock was from my stash and the think aqua layer was just colored with Copic markers to match the donut paper. The pink layer and the brown layer were cut out using two of the dies from the Fancy Frames set. 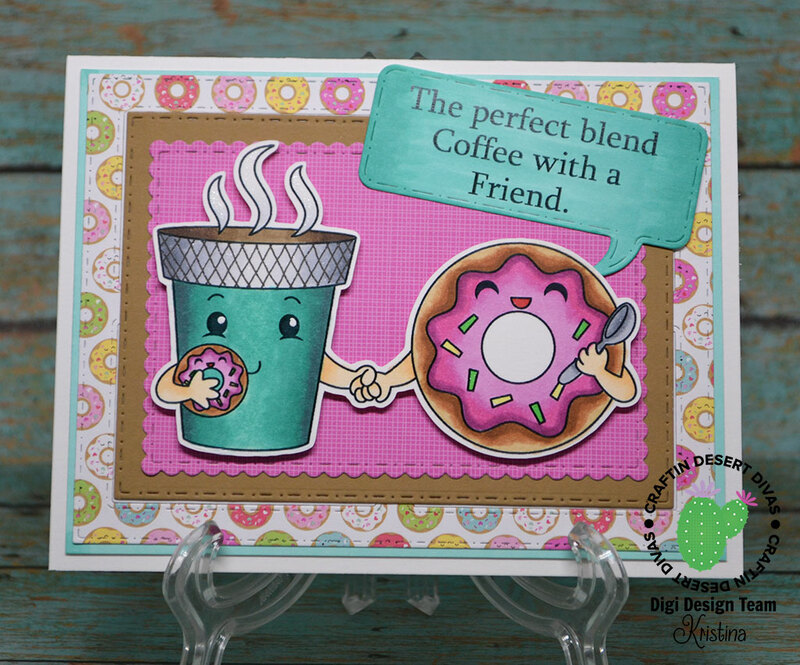 The donut layer was cut out using one of the dies from the new release, Window Pane Die. I found that the Fancy Frames die fit just perfectly inside the "pane" area of the die. You'd never even know it wasn't a solid piece! I layered everything up on a white card base and popped up the colored image with foam tape. I used the sentiment that is included with the digital stamp. I cut it out using the speech bubble from the Mix It Up dies set. The white paper was too much of a contrast so I colored it with Copics to match. There you have it! 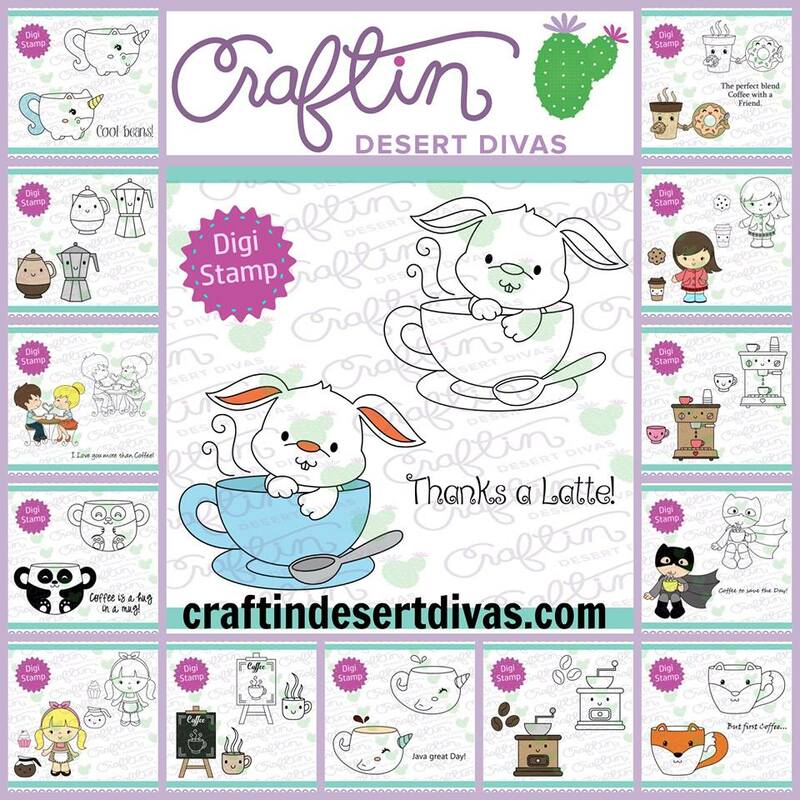 I hope you check out some of the great coffee digital stamps in the CDD store! Yes to coffee + donuts! Cute card! So cute, they look so happy together! This is adorable, Kristina. I love the colors and the cute images. 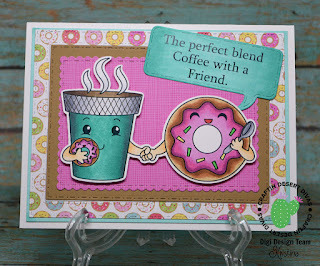 I love this coffee and doughnut combo! Really cute! Love the colors, so sweet! Oh my!!! Super cute card!!! Those are some super cute besties. I love that they're holding hands - too cute! So sweet and I love the sentiment as well. and they are perfect blend! Oh so very sweet and delicious.